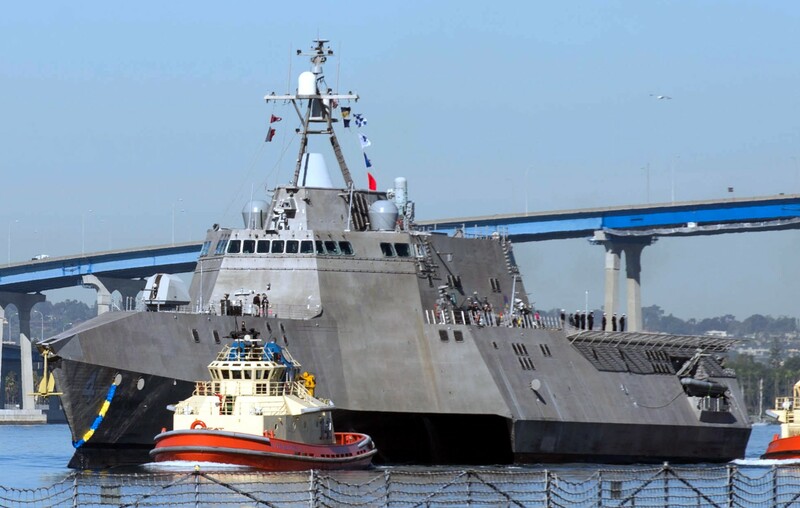 USS Coronado was launched and christened during a ceremony in Mobile Bay on 14 January 2012 by Susan Keith, the daughter of Eleanor Ring who christened USS Coronado (AGF-11) in 1966. 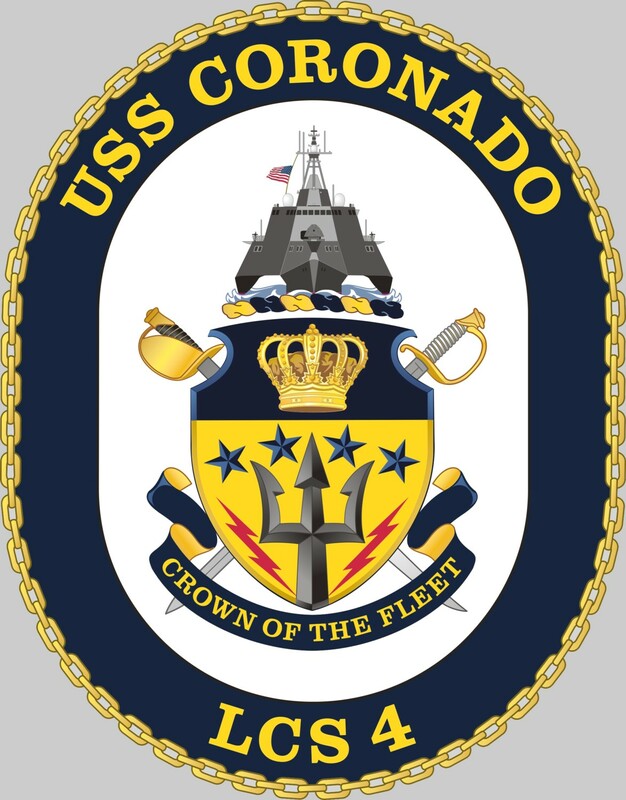 Fire is feared on all the ships of the Independence class, and the delivery of Coronado was delayed by two fires during her builder's trials. 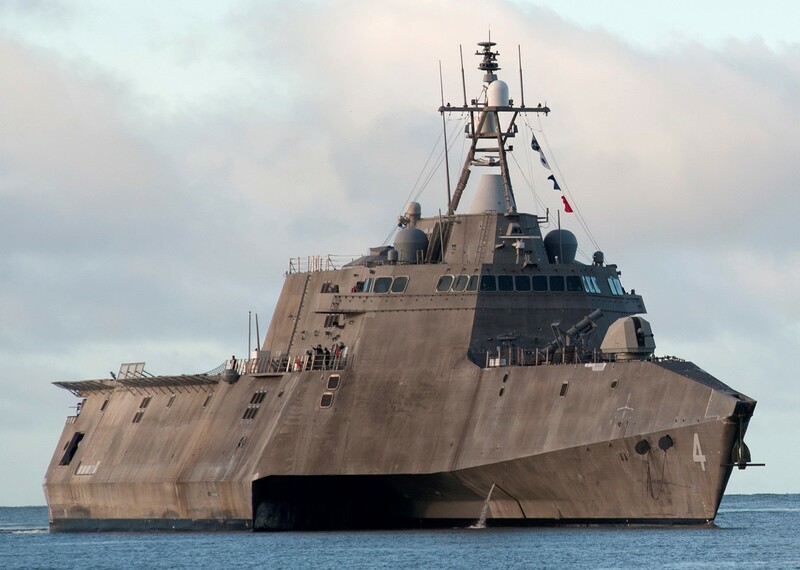 USS Coronado was delivered on 27 September 2013. 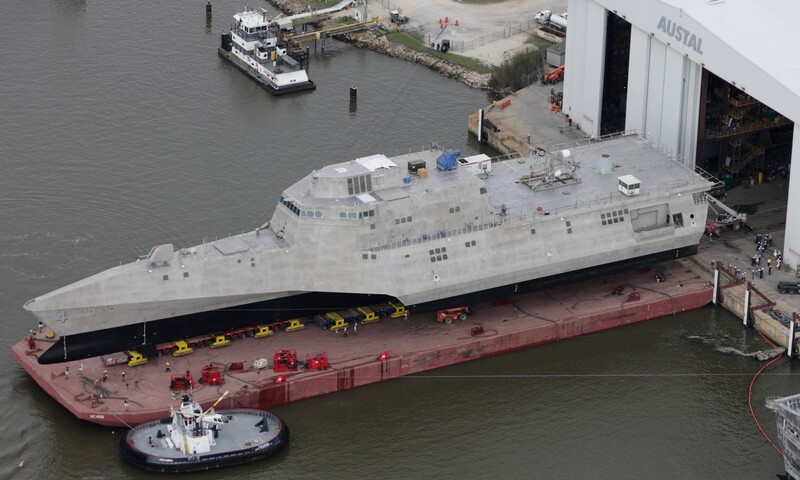 On 27 January 2014 Coronado departed the Austal USA shipyard in Mobile, Alabama, en route to her commissioning site in Coronado, California. 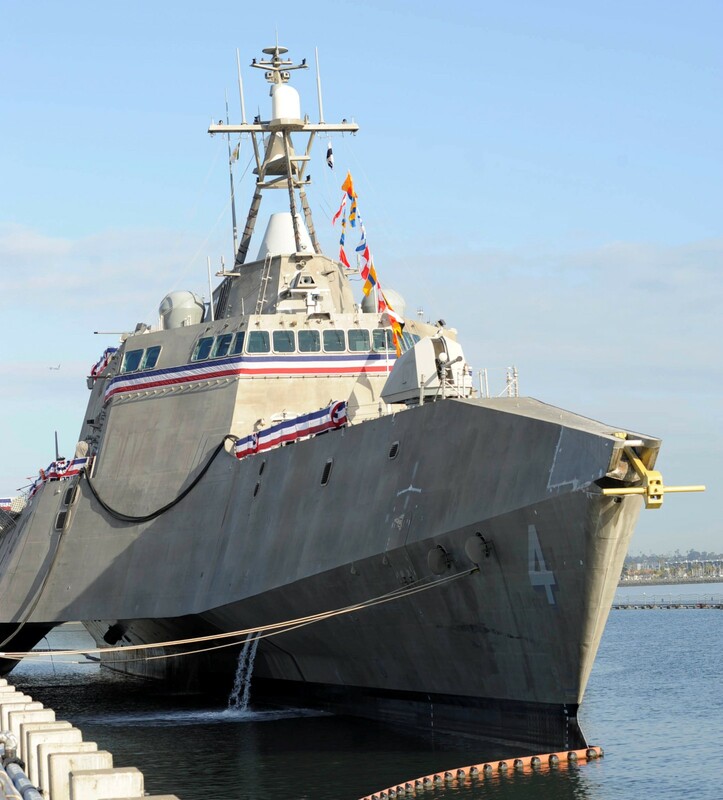 She was commissioned on 5 April 2014. 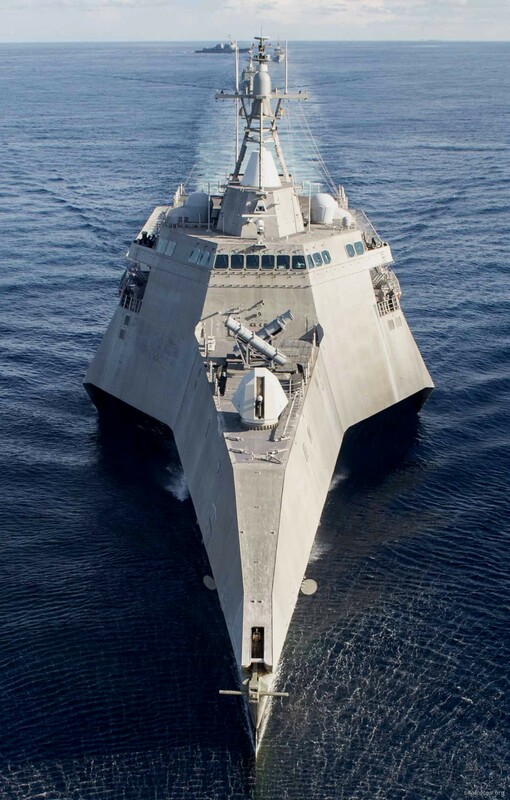 On 30 April 2014, the LCS Mission Modules (MM) program successfully completed the first Structural Test Firing (STF) of the 30 mm gun mission module aboard USS Coronado. 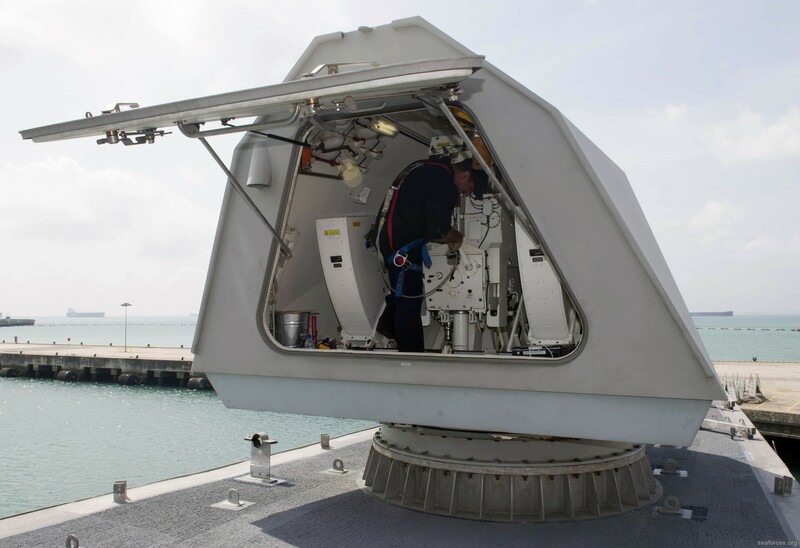 The test consisted of installing two 30 mm guns, mission package software, and associated test equipment, loading live ammunition, and conducting three live fire scenarios: gun operations; worst case blast loading; and sustained fire. 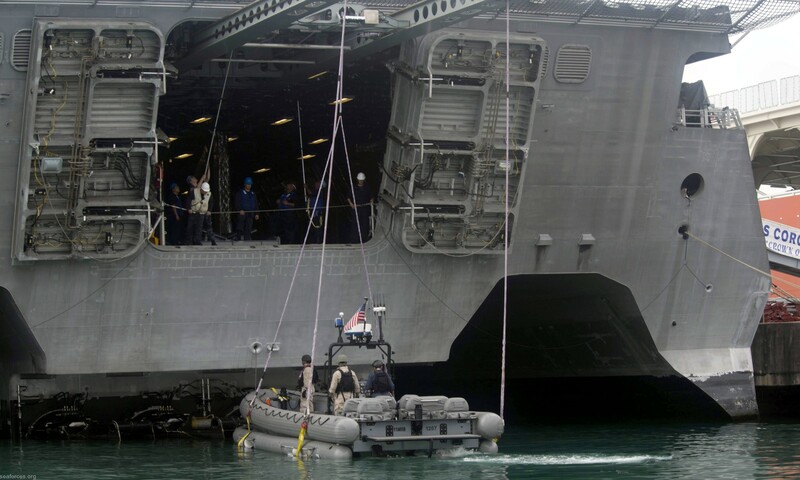 Multiple tracking exercises using high speed maneuvering surface targets to simulate single and swarm boat attacks were also accomplished the following day. 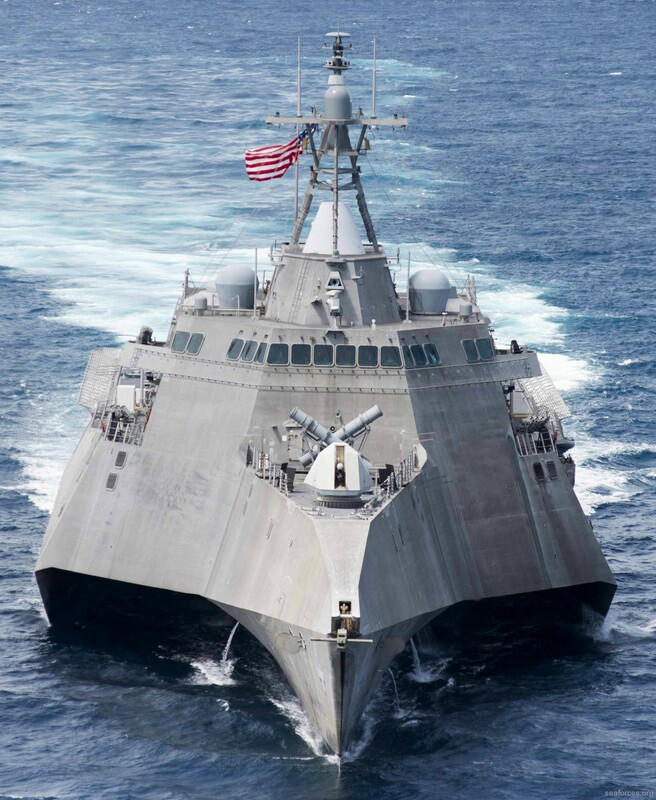 Surface warfare tracking and live fire exercises are scheduled in summer 2014, culminating in initial operational test and evaluation in 2015. 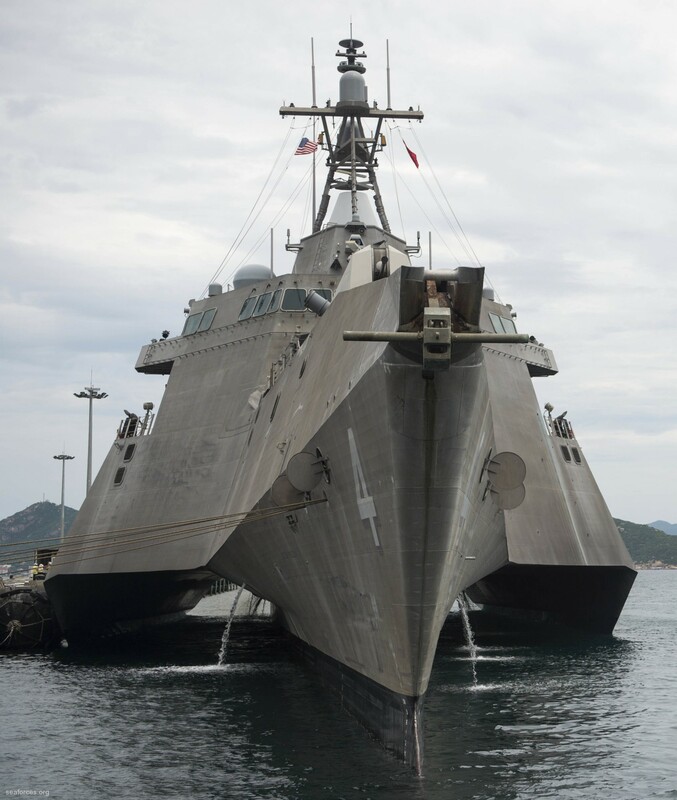 Coronado is the first Independence-class LCS to undergo firings of the 30 mm cannons of the surface warfare mission package. 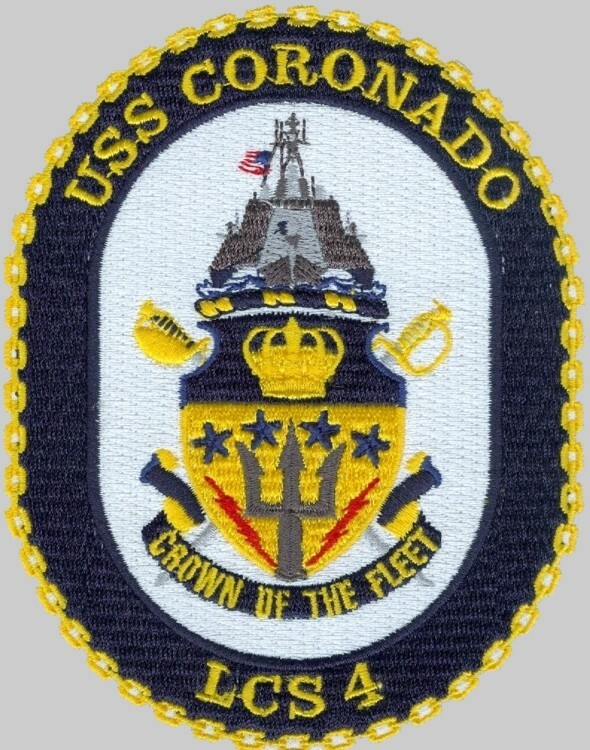 In late July 2014, the Navy confirmed that Coronado would test-launch the Norwegian Naval Strike Missile in September. 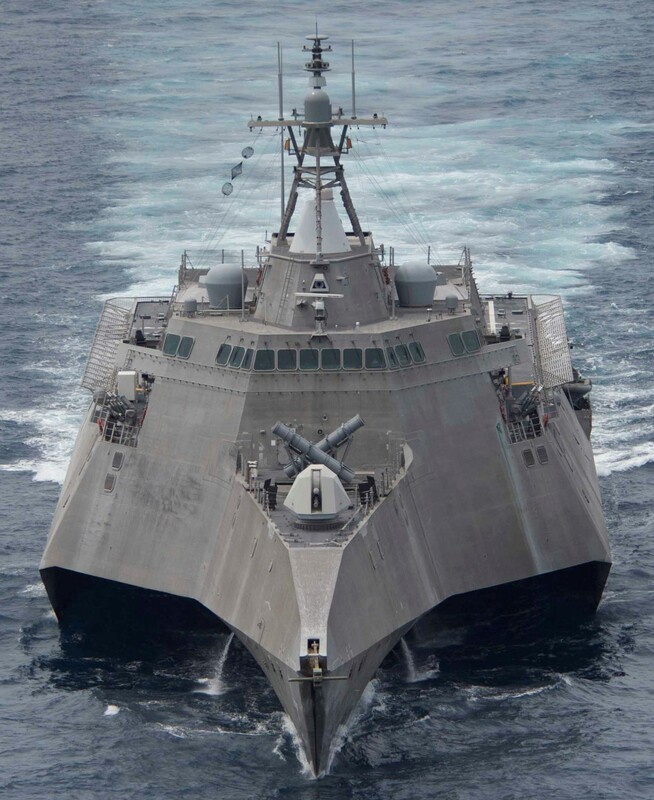 Although there is no current requirement for the missile aboard Littoral Combat Ships, it is significantly larger than the AGM-114 Hellfire missile slated to be integrated onto the ship classes, and the Navy is testing its feasibility in an increased anti-surface warfare role for the ships. 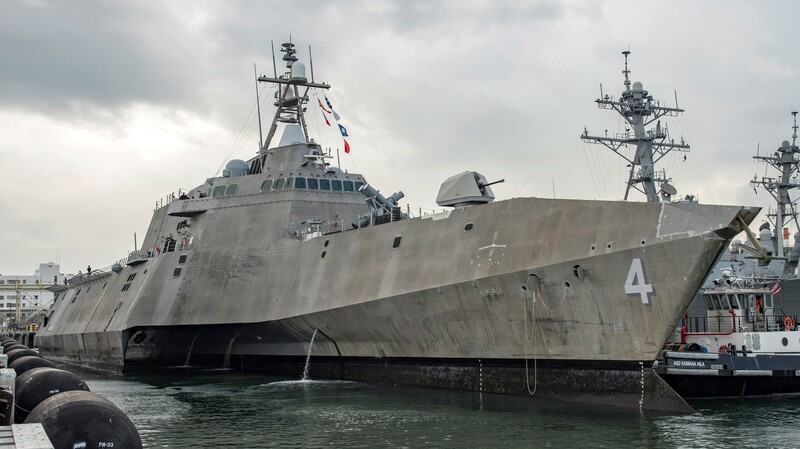 The test was meant to provide insight into the missile's capabilities, see if it could fit aboard the ship, and review the detect-to-engage sequence of firing a long-range weapon from an LCS. 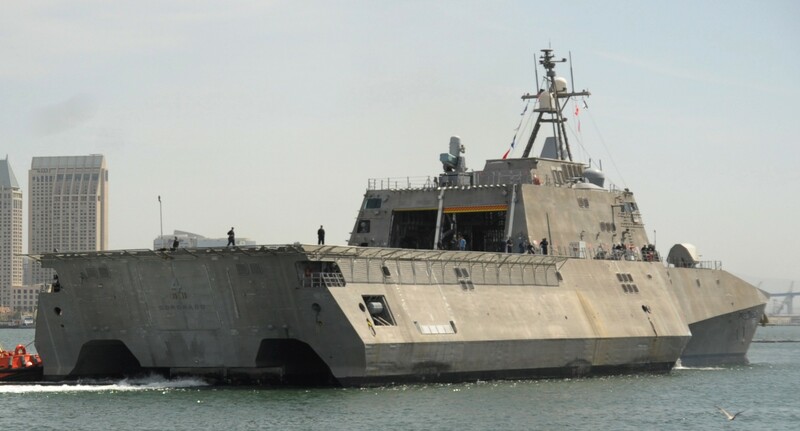 The test occurred on 24 September 2014. 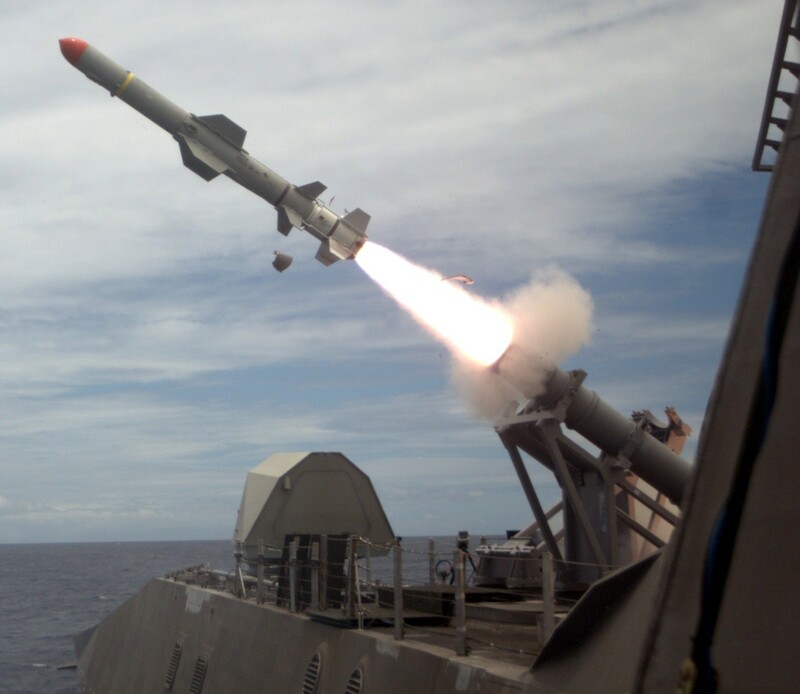 The missile was successfully fired from a launcher positioned on ship's flight deck at a mobile ship target. 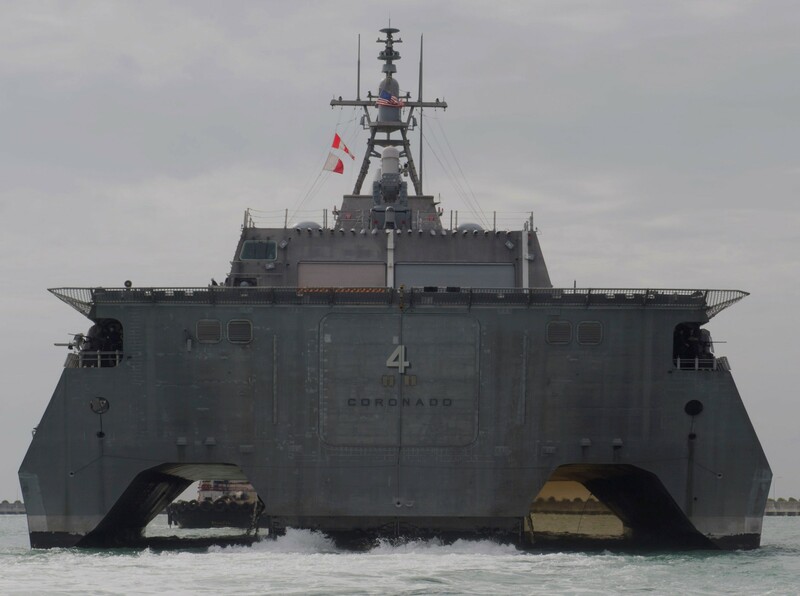 In mid-August 2014, Coronado demonstrated the ability to rapidly stage and deploy U.S. Marine Corps ground units. 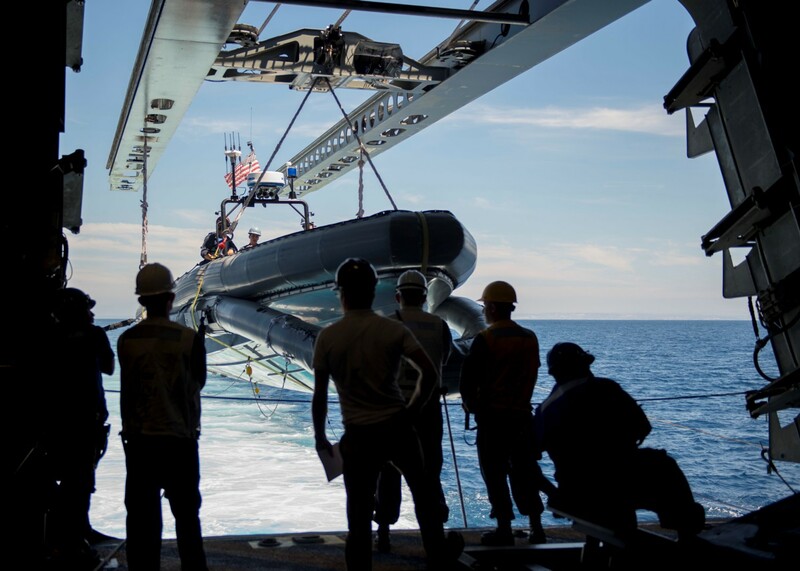 Marine Light Attack Helicopter Squadrons 469 and 303 conducted day and night deck-landing qualifications in preparation for an airborne raid. 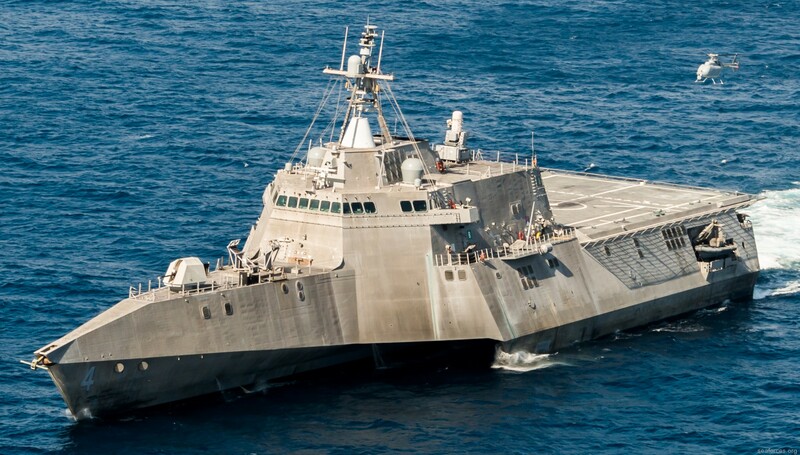 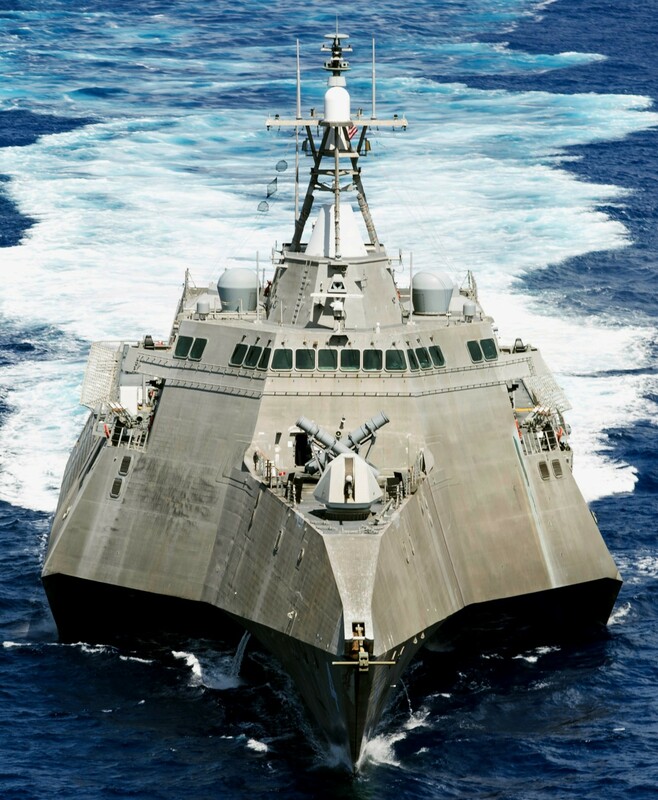 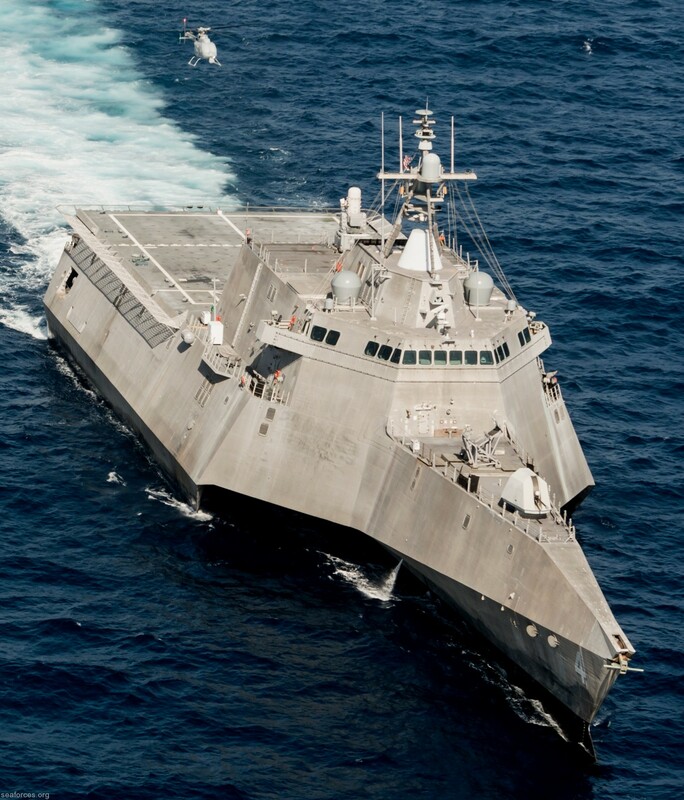 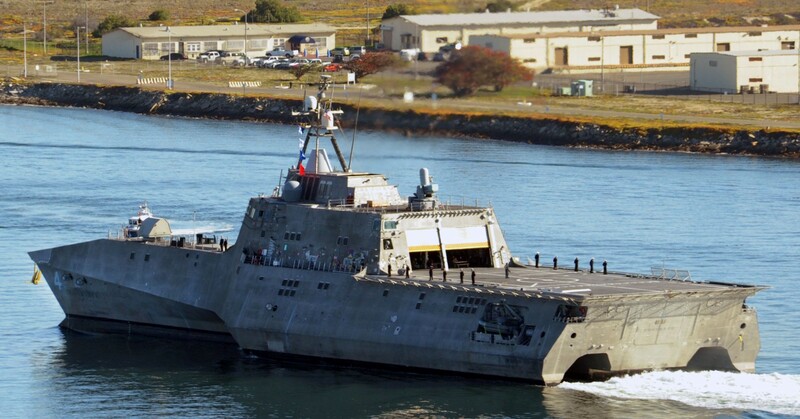 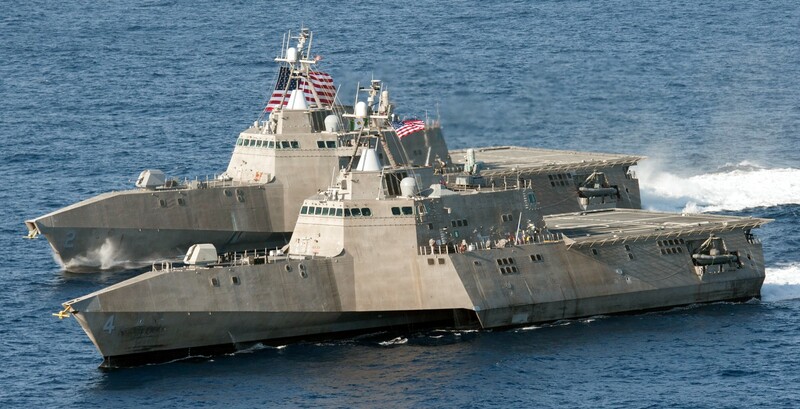 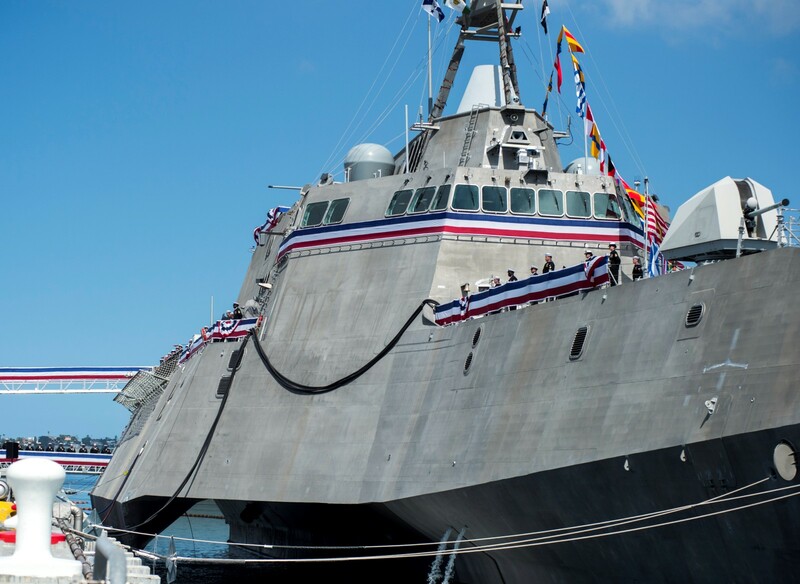 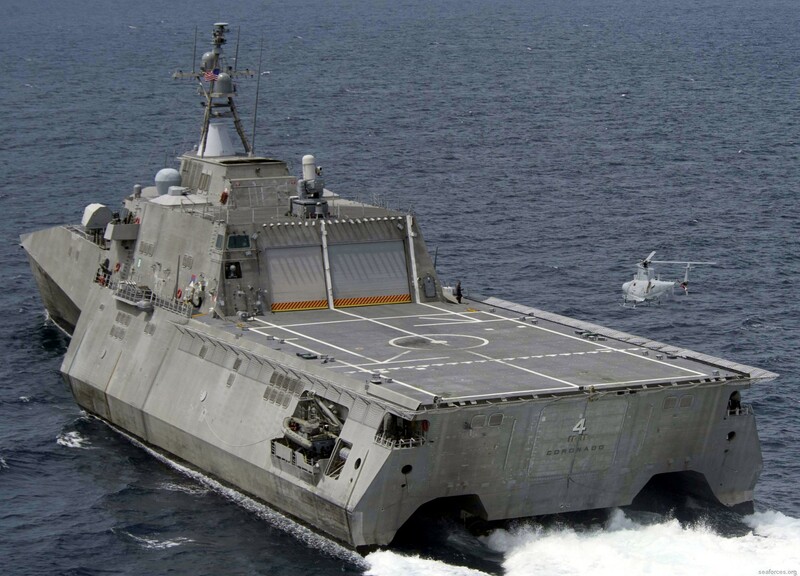 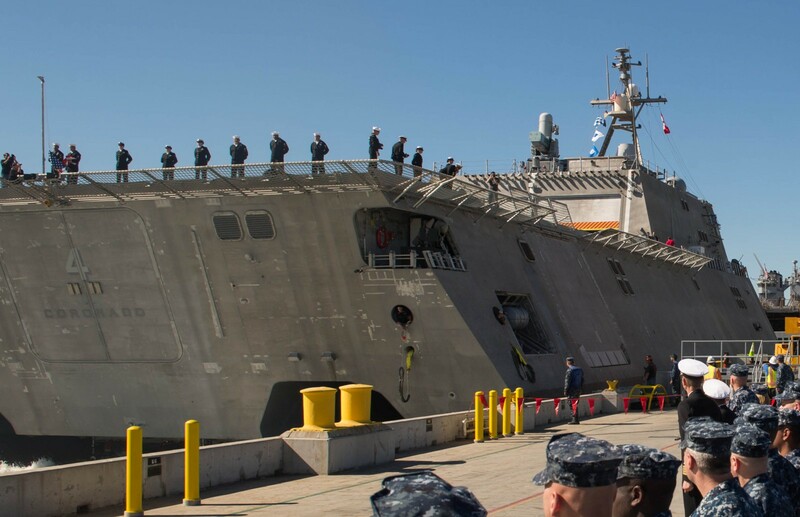 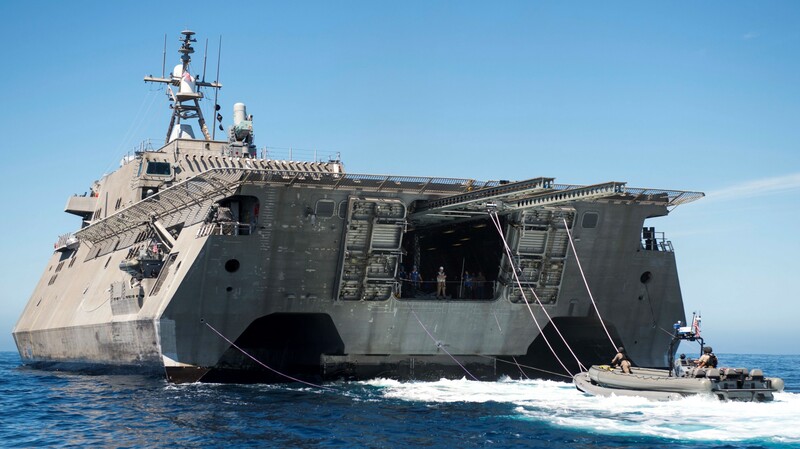 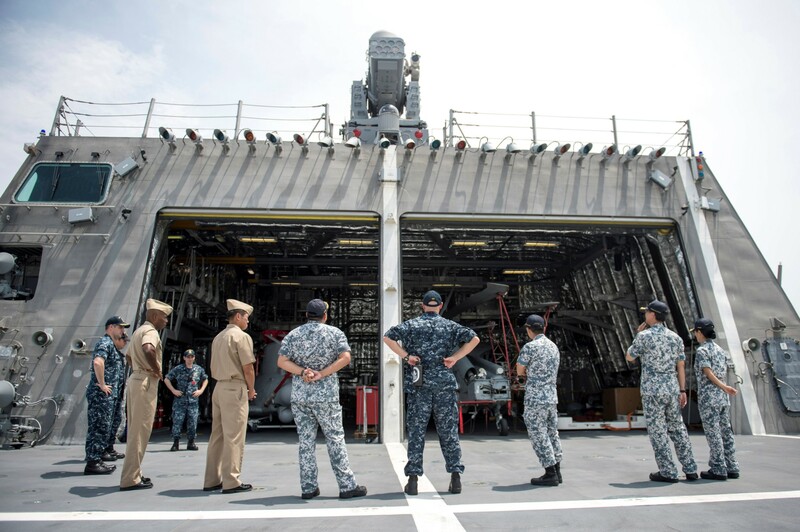 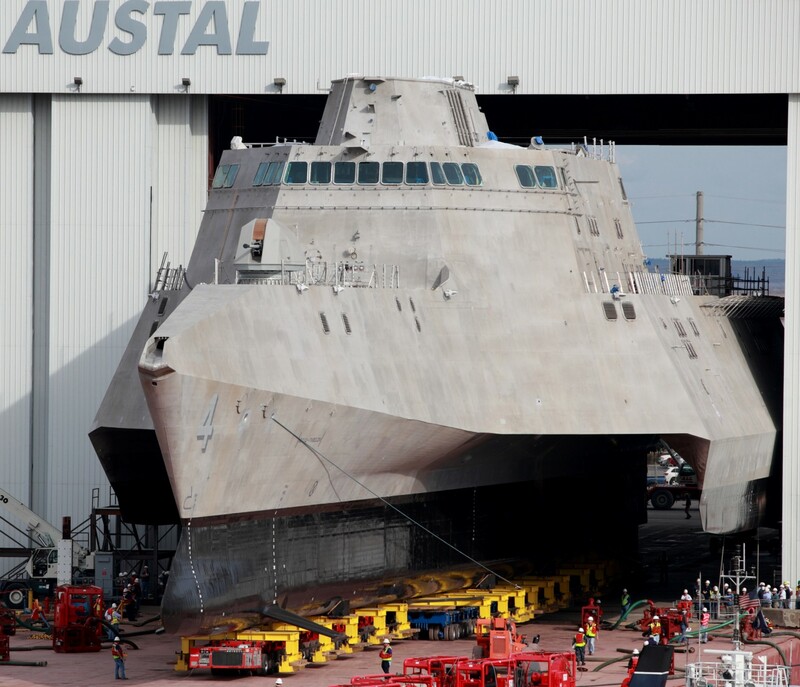 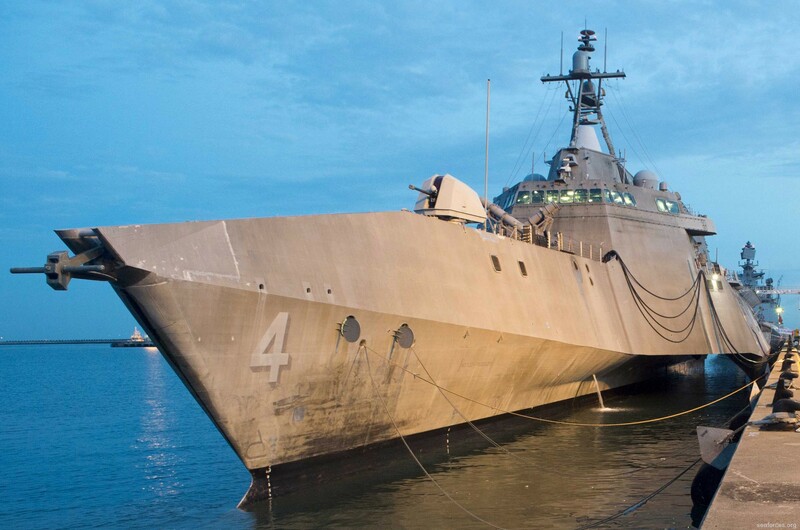 The Independence LCS' features of high speed, a large flight deck, and reconfigurable mission bay can support air and small-boat employment and delivery of Marine ground and air tactical units; a small Marine ground unit can be carried even with an embarked mission module. 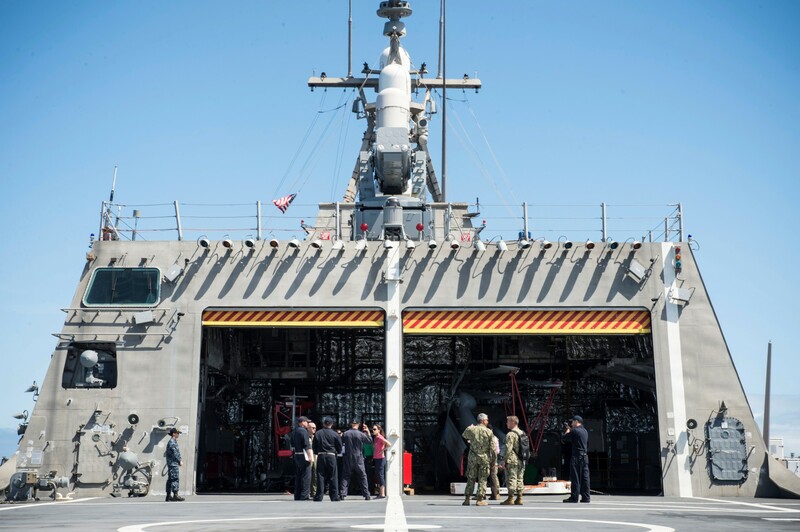 On 16 October 2014, the Navy announced that Coronado conducted dynamic interface testing with the MQ-8B Fire Scout unmanned helicopter. 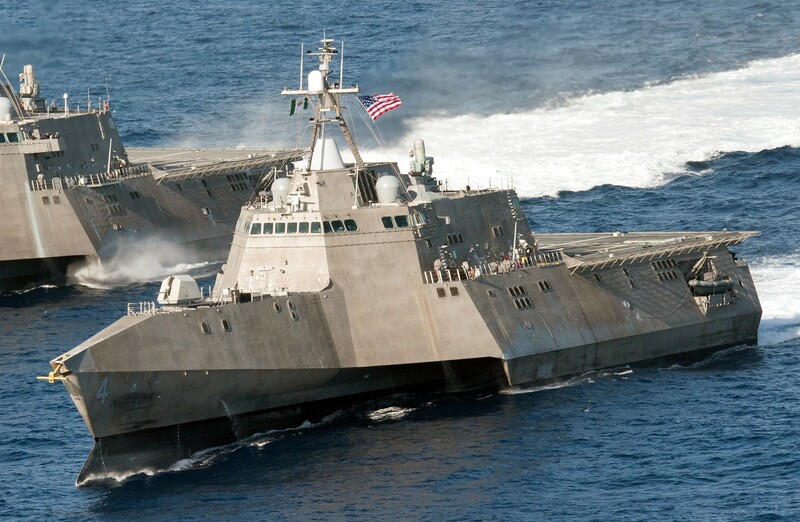 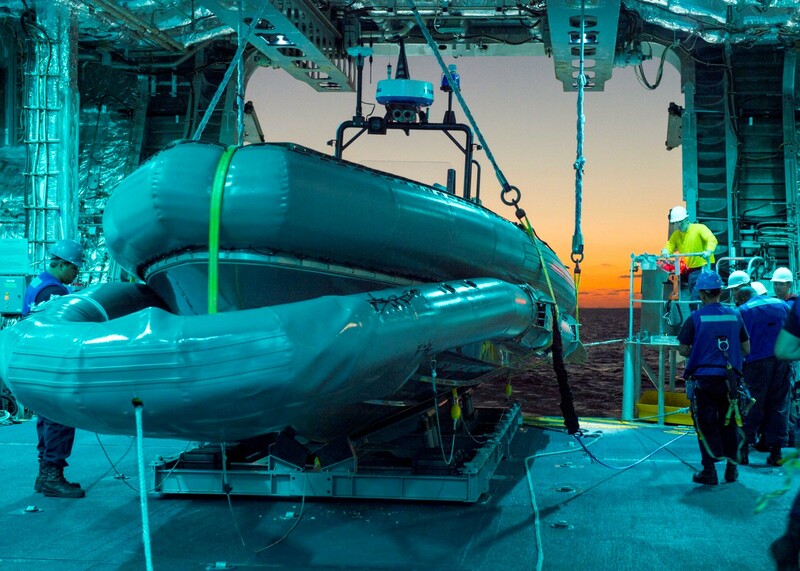 The tests familiarized the crew with operating the unmanned aircraft, verified and expanded launch and recovery envelopes, and identified opportunities for envelope expansion to demonstrate future concepts of operations for the aircraft aboard an LCS, which will use the Fire Scout in all three mission packages. 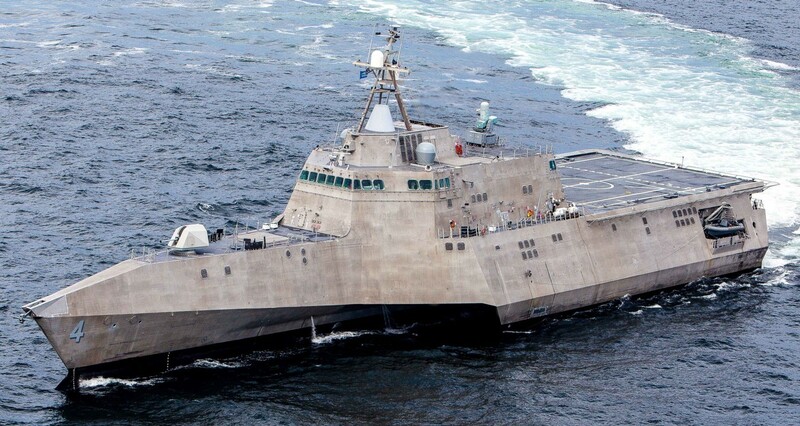 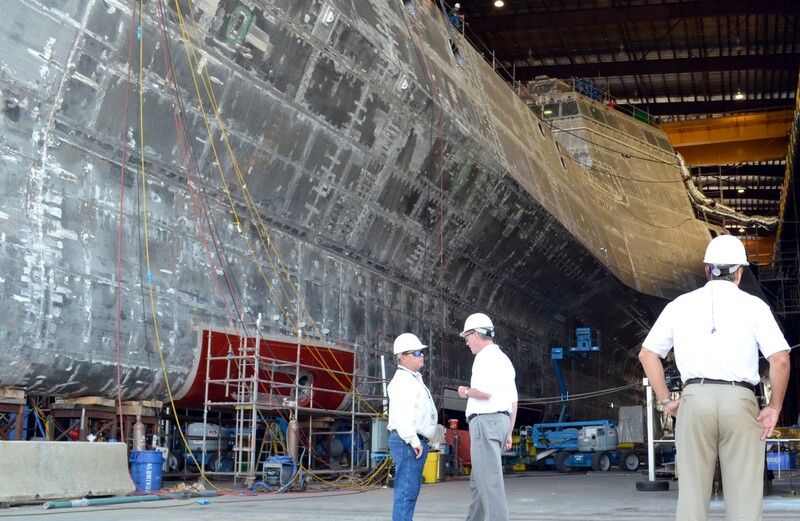 Final Contract Trials (FCT) for the ship were completed in June 2014, and Coronado is scheduled to begin Post Shakedown Availability in October 2014. 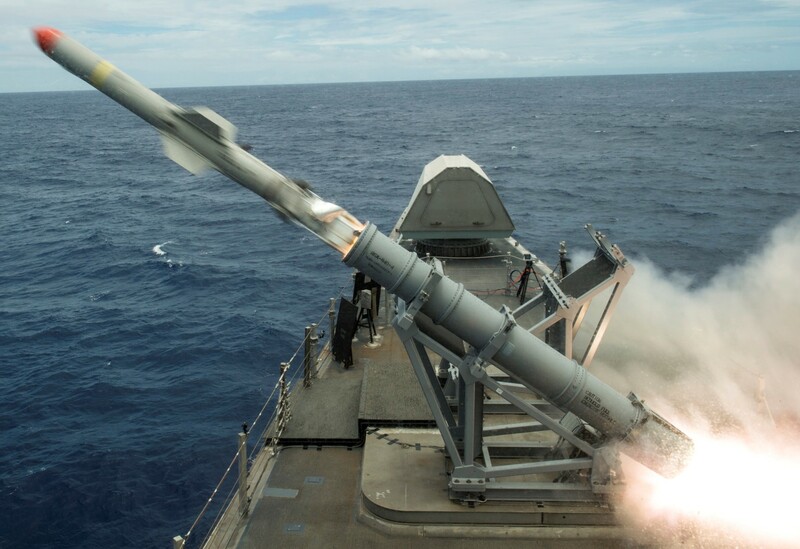 On 19 July 2016, while participating in the Rim of the Pacific Exercise, Coronado was used to conduct a live-fire missile test of a Block 1C Harpoon anti-ship missile. 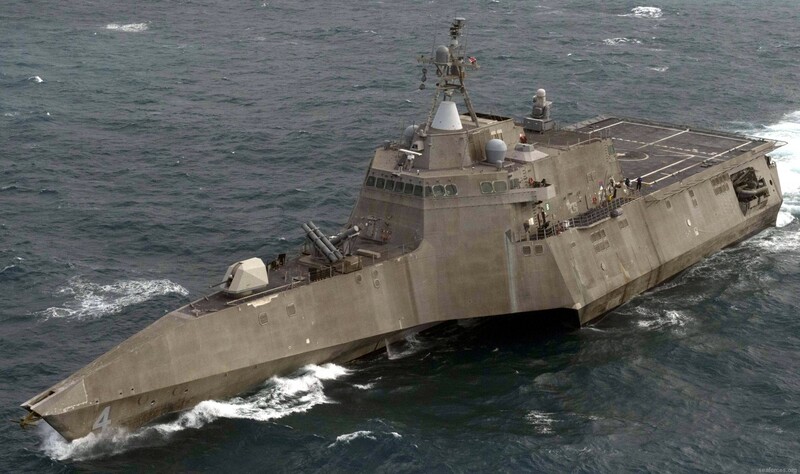 While the missile failed to destroy its target, the test validated the ability to launch high-powered missiles from the forward deck of a littoral combat ship. 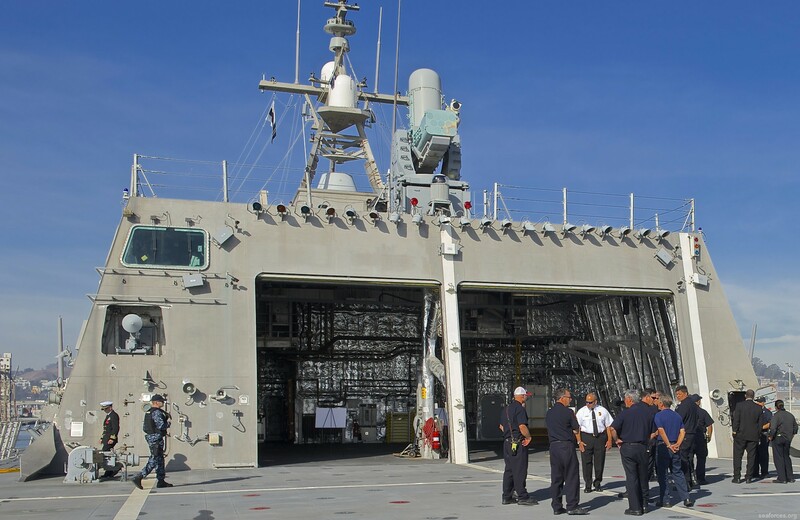 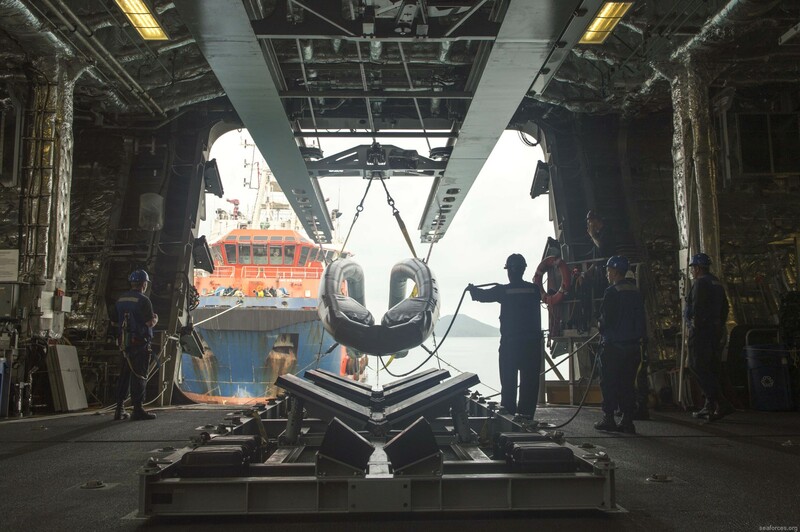 On 16 October 2016, Coronado arrived in Singapore for a scheduled rotational deployment to the Indo-Asia-Pacific region. 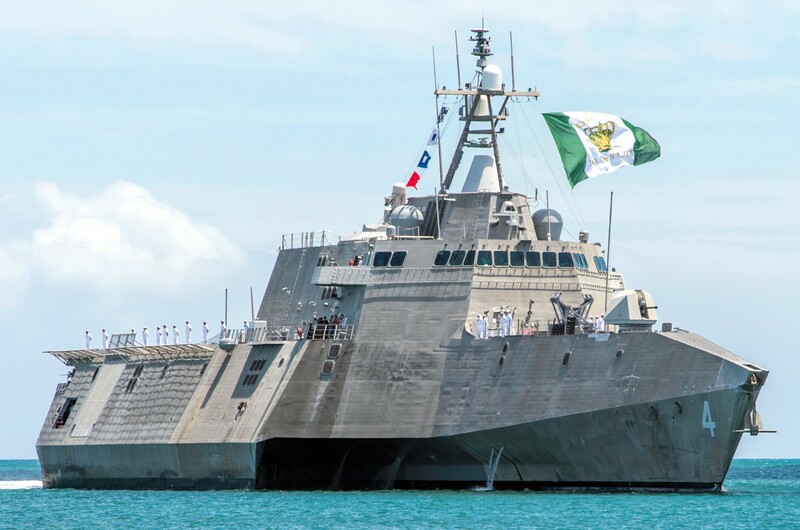 It was the first time an Independence-class LCS had been deployed to the region, the first deployment of the MQ-8B fitted with the Telephonics AN/ZPY-4(V)1 radar, and the first deployment of an LCS platform equipped with an over-the-horizon anti-ship capability, in the form of a four-cell RGM-84D Harpoon Block 1C missile launcher.